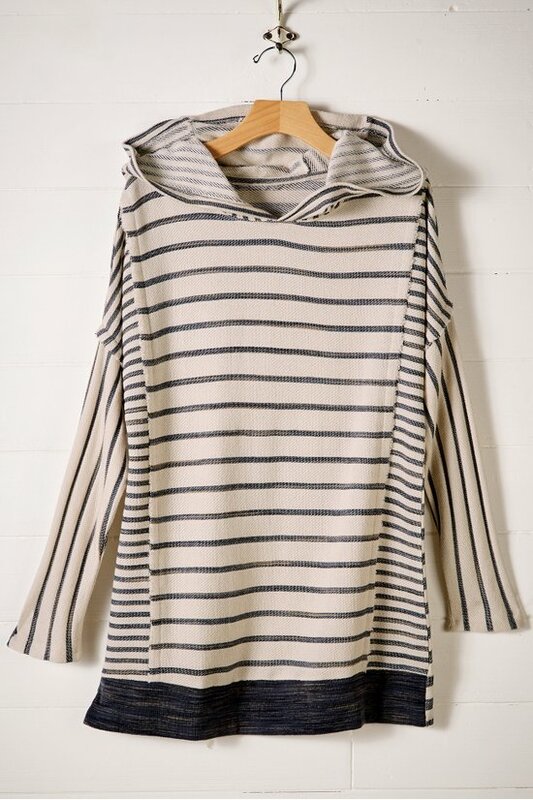 Sporty stripes underline the fun in our French terry hoodie with paneled, drop shoulders and pieced seams. Contrast hem and raw edge details. Misses 28"/28-1/2" long.